From off-the-shelf products to tailored logistics planning, our expert team works with you to find the perfect business solutions for all your maintenance, safety, and packaging needs. Our experienced sales team uses the ELEVATE process to uncover business trends and opportunities in every corner of your business. This powerful supply chain management tool analyzes data from companies across the globe to identify universal business needs and provide valuable insight and profitable solutions. ELEVATE helps you find global trends and predict outcomes so you can make informed, strategic business decisions, improving your company’s image while decreasing costs. ELEVATE will increase company productivity and efficiency. Ask your AP&P sales representative to find out how ELEVATE can help your company succeed. We specialize in inside-the-box thinking, providing interior cushioning and protection for all your shipments. 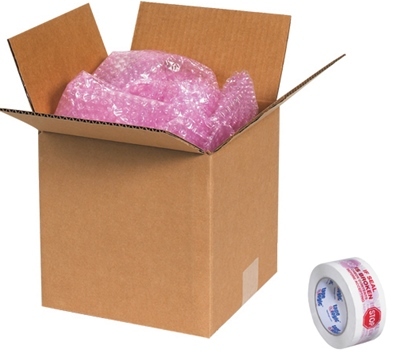 Save money and prevent damage to your shipments by securing your products with foam, partitions, or packing peanuts. 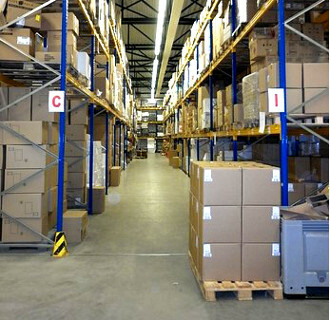 Keep your company’s shipping process efficient with all the supplies and materials you need on hand. Our full line of cleaning products offers all the facility supplies your company needs to maintain a sanitary environment and clean appearance. From mops, brooms, and cleaning chemicals to paper towels, dispensers, and hand sanitizer, we provide janitorial items to keep your business spotless and your employees healthy. Keep your employees safe from injury with cost-saving solutions, from fire extinguishers and first aid kits to dust masks and eye protection. Our selection of safety glasses, coveralls, hard hats, and dust masks shield workers from dangerous materials and equipment, while our trucks, carts, and dollies allow for safe and easy transportation of heavy boxes, equipment, and shipments. According to Wisconsin and national OSHA regulations for job safety and health protection, employees have the right to a workplace safe from hazards and unsafe or unhealthy conditions. Find all the safety and industrial products necessary to meet and exceed OSHA safety requirements. From schools and universities to the hospitality and healthcare industries, companies need food supplies and equipment to run their businesses. We have the sanitary and safety products to help. Boxes, containers, napkins, towels, tissues, gloves, wipes, and other products can help you more efficiently run your restaurant, hospital or healthcare facility, casino, or any other business. American Paper & Packaging keeps restaurants and cafeterias running like well-oiled machines. We have the cleaning products you need to deal with spills, and a wide variety of waste containers to keep your facility clean and safe. We also have heavy duty de-greasers to clean kitchens. With our VMI system, you never have to worry about running out of packaging materials, cleaning supplies, or safety products. When we see you are getting low, we automatically order more to replenish your stock. Personalize your Logistics Management Program to meet your company’s specific requirements. 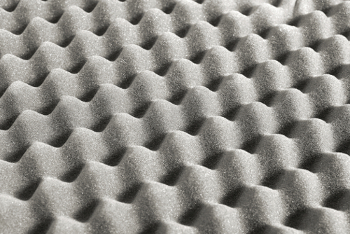 Our team of experienced designers creates custom packaging materials for unique products. From specialty tapes with your logo to corrugated boxes and cartons with cushioning for distinctive products, we work with you to design the perfect container or display. Contact our custom packaging and business supply specialists for boxes, bags, facility supplies, and more.